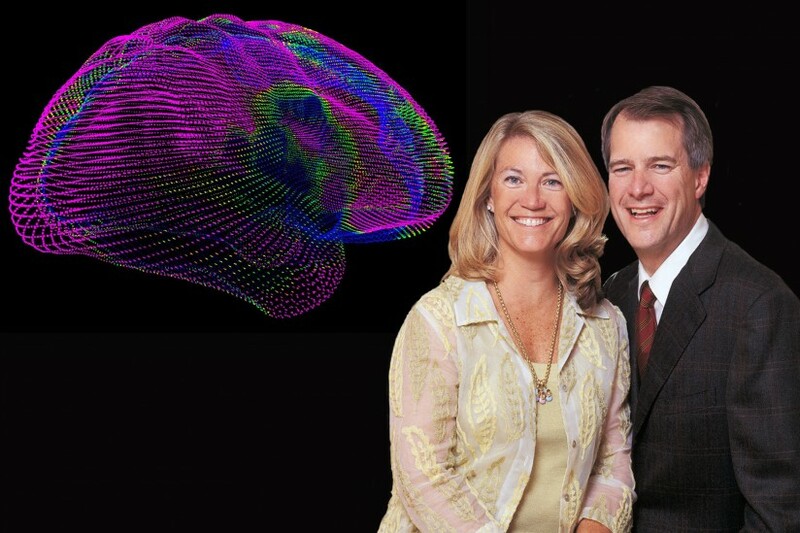 Longtime USC benefactors Mark and Mary Stevens have donated $50 million to endow and name the USC Mark and Mary Stevens Neuroimaging and Informatics Institute, accelerating the institute’s already dramatic progress toward solving one of biology’s most complex and important puzzles: the brain. The visionary gift promises to improve the lives of millions of people worldwide by speeding the translation of basic research into new therapies, preventions and cures for brain injury and disease, including Alzheimer’s, schizophrenia and traumatic brain injury. The institute unites scientists from around the world to understand the brain at an unprecedented level, examining its structure and function in health and disease. Among many seminal achievements, the institute’s interdisciplinary pioneers were among the first to map the spread of Alzheimer’s disease in the living human brain and to create digital 3- and 4-D brain atlases to examine the effects of neurological diseases. 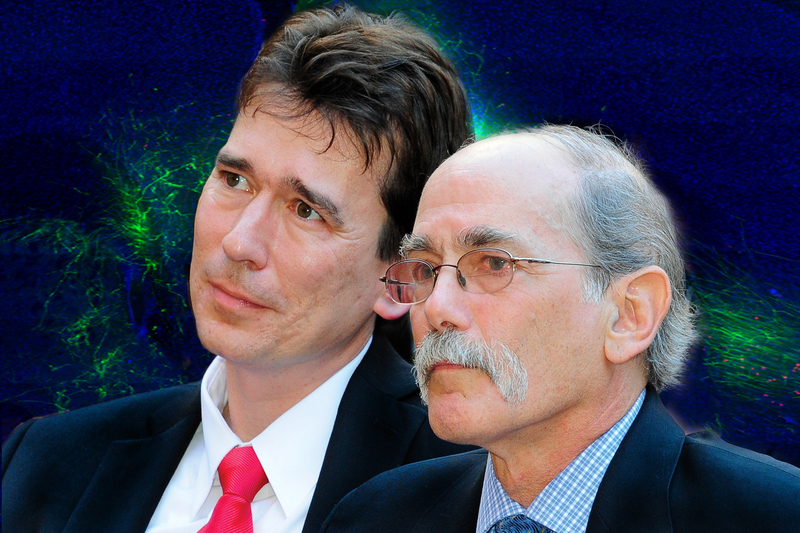 Led by professors Arthur Toga and Paul Thompson, along with more than 130 faculty and scientific staff members, the institute and its Laboratory of Neuro Imaging were brought to USC in 2013. Over its three decades, the institute has amassed the world’s largest repository of healthy and diseased brain images, along with medical and cognitive data from diverse populations around the globe. “With this landmark gift, Mark and Mary Stevens enhance their already spectacular philanthropic legacy,” said USC President C. L. Max Nikias. “They significantly widen the scope of their support for American higher education and bring their philanthropy to particularly pressing and important areas of inquiry. Through the Stevens’ support, USC researchers will have the opportunity to address many of the most pressing questions in medicine today. Located at the Keck School of Medicine of USC on the Health Sciences Campus, the institute will continue to partner with schools and programs on both campuses, given the tremendously interdisciplinary nature of its work. In addition to collaborating with the USC Viterbi School of Engineering, the institute will work with faculty in biology, genetics, biostatistics, computer science, mathematics, pharmacology and numerous other disciplines. The generosity of Mark and Mary Stevens has long supported both researchers and students at USC. Following previous naming gifts for the USC Stevens Center for Innovation and the Stevens Academic Center for student-athletes, this gift now places them among the ranks of the largest benefactors to the university in its 135-year history. Their gifts have made a lasting impact in areas ranging from student scholarship and athletics to engineering and innovation, and now to medicine and the life sciences. The Stevens stand among the nation’s most passionate supporters of innovation. As the visionary leader of S-Cubed and Sequoia Capital, Mark Stevens has nurtured promising and innovative entrepreneurs, and quickly became one of Silicon Valley’s most successful venture capitalists. With this gift, he and Mary bring their long-standing commitment to higher education and passion for innovation to the neurosciences, helping advance research that unlocks the complexities of the human brain — a key step in understanding how we function. Our family’s gift to permanently endow the USC Mark and Mary Stevens Neuroimaging and Informatics Institute will serve to further the university’s leadership position in the medical sciences in the coming decades. Generous with his time as well as his financial resources, Mark Stevens has served as a member of the USC Board of Trustees since 2001. He co-chairs the board’s investment committee, serves on the executive and finance committees, and sits on the USC Health System Board. For the past 18 years, he has also served on the Board of Councilors for USC Viterbi. 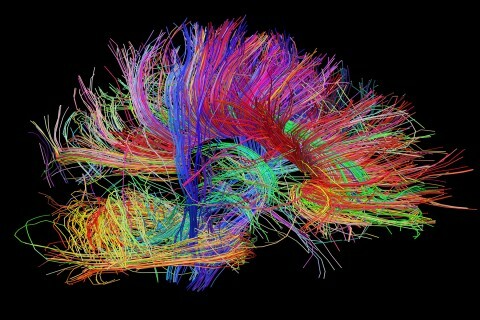 “Mark and Mary’s vision and understanding of the complexities of brain research is incredibly gratifying. A gift like this allows USC and the Stevens Neuroimaging and Informatics Institute to achieve and maintain a preeminent position in the research arena,” said Toga, a provost professor with joint appointments at the Keck School of Medicine and USC Viterbi. The human brain is the body’s most complex and least understood organ, continuously changing and containing about 100 billion neurons that connect to form quadrillions of neural pathways. Because it is connected in some way to every major organ and function of the body, it also plays a role in every disease. We hope that our transformative gift will enable researchers and clinicians at USC and throughout the world to expand the understanding of the human brain. The institute gathers scientists on a global scale to pool resources in “reverse-engineering” the brain at an unprecedented resolution — mapping and understanding how its structure gives rise to its function. Its work is a blueprint for the revolution in personalized and precision medicine. Researchers at the institute use sophisticated analytic software to translate enormous and ever-growing data sets into practical information about the source of diseases and who’s likely to develop them. One of their goals is to create disease-specific brain atlases that could show how various neurodegenerative diseases look, enabling physicians to tailor their treatments accordingly. The team has already been enormously successful. 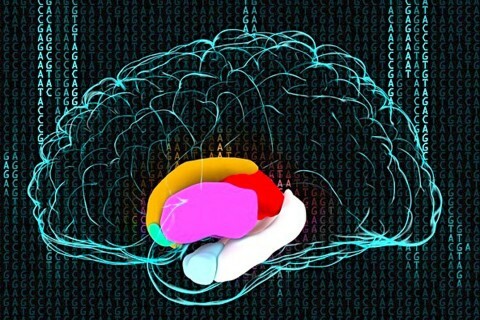 Its researchers were the first to show that aging brains unravel in the reverse order of development, the first to use brain scans to show how a certain gene variant speeds up brain loss in Alzheimer’s patients, and the first to link brain connectivity to human behavior and genetics through advanced brain-imaging techniques. In January, Thompson led an international team of roughly 300 scientists from 33 countries — the Enhancing Neuro Imaging Genetics Through Meta Analysis Network (ENIGMA) — in combing through 30,000 brain scans to pinpoint eight common genetic mutations that appear to age the brain an average of three years. The work was the first high-profile study since the National Institutes of Health in 2014 launched its Big Data to Knowledge initiative, which provided two major grants to fund a pair of Centers of Excellence at USC run by Toga and Thompson. The awards funded ENIGMA and the establishment of the Big Data for Discovery Science Center, which aims to develop database systems and computational strategies to help scientists and physicians mine complex data about the brain. Mark Stevens grew up near USC in Culver City and earned a B.A. in economics and a B.S. in electrical engineering in 1981 and an M.S. in computer engineering in 1984, all from USC. He also holds an MBA from Harvard University. The Stevens’ gift is a major step forward in USC’s $6 billion Campaign for the University of Southern California, one of the most ambitious fundraising campaigns in the history of higher education. In just four years, the campaign has raised more than $4 billion to advance USC’s academic priorities and expand its positive impact on the community and the world. The identity of eight common mutations may one day reveal more about Alzheimer’s, autism and other neurological disorders. USC researchers used enhanced brain images to measure the blood-brain barrier's permeability, finding that the barrier becomes leaky with age. (Photo/Zlokovic Lab/Keck Medicine of USC). 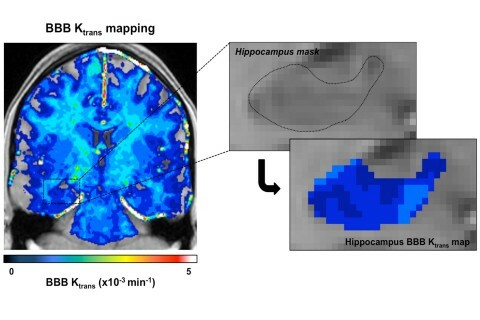 Advanced image analysis suggests a breakdown in the brain’s memory and learning center can be detected before cognitive loss begins. The gift will streamline the translation of basic research into new therapies for brain injury and disease. $23 million in awards creates two Centers of Excellence and establishes USC as a hub for understanding the brain through data mining.